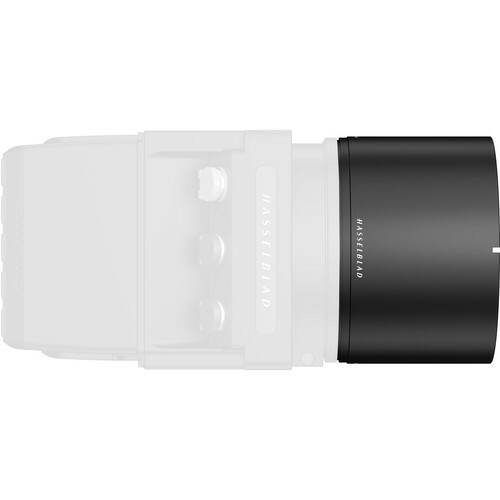 The Lens Tube Protector for Hasselblad A5D/A6D Cameras with 50mm HC/HCD Lenses from DJI has been specifically designed to shield the outer barrel of the lens from debris or accidental physical damage. It's made from durable aluminum alloy and features a matte black outer and inner coating. It can also prevent reflections or lens flare in your aerial footage. It is threaded and made to secure itself easily to the Hasselblad A5D-50c or A6D-100c camera body. This protective tube is meant to protect 50mm Hasselblad HC or HCD lenses.